…And I mean this in the best possible way. First, let’s get this out of the way – These 15 minute things are kind of silly. I saw one for TRON: Legacy years ago, and truth be told it was fun. This was too. It’s just a little bizarre to wait in line to see only 15 minutes of a movie. We all got this mini-poster and got to see what I can only describe as a long trailer on drugs. I’m not going to go through shot-by-shot of the thing. Nobody cares, do they? However, I will give you the basic breakdown. 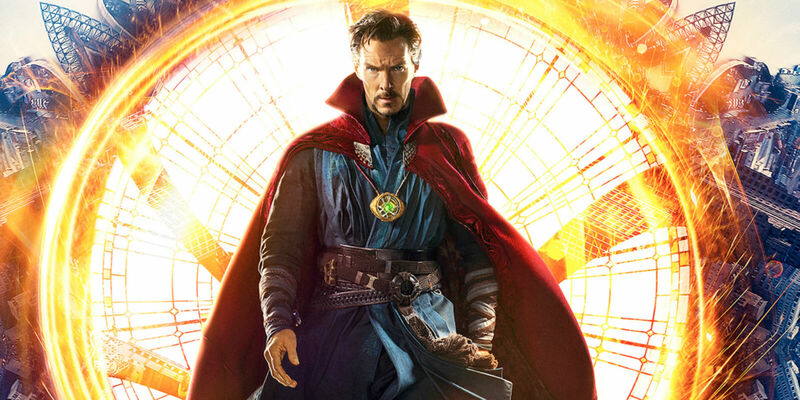 We see a little of Dr. Stephen Strange’s life as a brilliant world-famous surgeon. He goes for a drive and in a bout of distracted driving, gets into a horrible car accident. This ruins his life and he spends every dime of his money trying to find a fix for his shattered hands (and life). This journey leads him to the Ancient One (Tilda Swinton) who proceeds to tell him he doesn’t understand anything and he needs to open his mind. Strange goes on a rant about how we are all just matter and there is no such thing as the “spirit” before the Ancient One blasts him through several dimensions on a sort of “tour” through the Multiverse. THIS IS THE MOST MIND-BLOWING THING I HAVE EVER SEEN IN A MOVIE. The effects and editing in this sequence is unlike anything I have ever seen in a film before. I guess I could compare it to the sequence in both TRON films when the main character enters the digital world, but this is amped up to a level I was unprepared for. In IMAX 3D, this was stunning. Simply stunning. I literally sat with my mouth agape. Then we get to see a lot of the same footage we have seen in the trailers with Mad Mikkelson as the antagonist, and some nice humour with Benedict Wong as another one of the Monk-like guardian people. 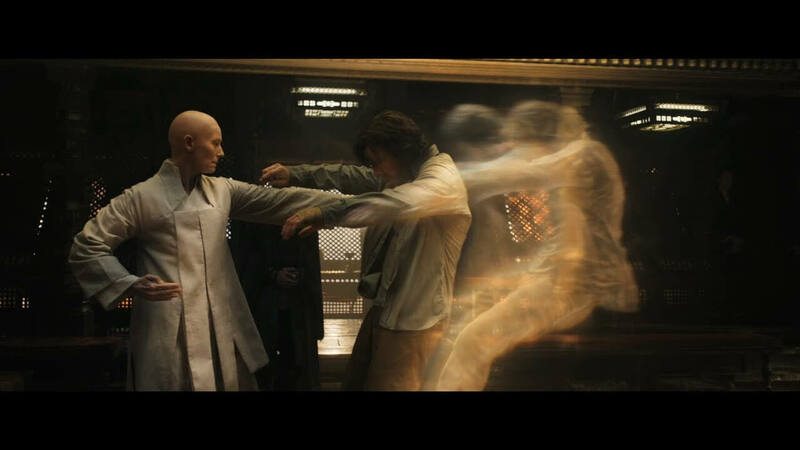 We saw some great shots of Dr. Strange’s cape floating around, and lots of training/running/action shots of Strange and Mordo running/fighting/evading Mads and his creepy goth crew. These sequences look like they took the special effects from the movie Inception and gave them the super-soldier serum. Benedict Cumberbatch is bringing everything he has to the table on this one and looks at ease in the role. He gets some meaty dialogue to chew on, and also some fun action. I had to laugh as he was running around making “magical” hand motions, though. It works, but still made me chuckle. If I was ever slightly on the fence about this one, I have fully jumped over it and I have turned rabid fanboy. 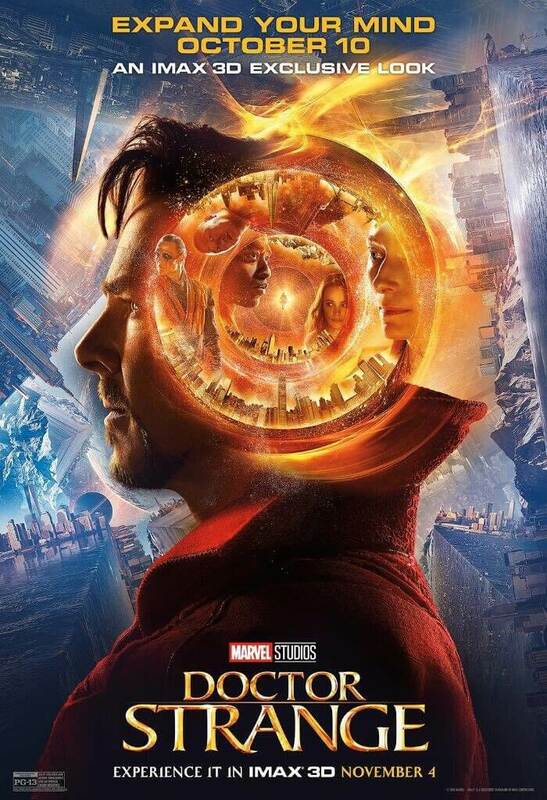 It looks like this film will not only give us a great intro to the character of Doctor Strange, but also into the greater world of the “Multiverse”, already hinted at in Marvel’s Ant-Man last year. Marvel will once again essentially be printing their own money.